What’s up everybody? 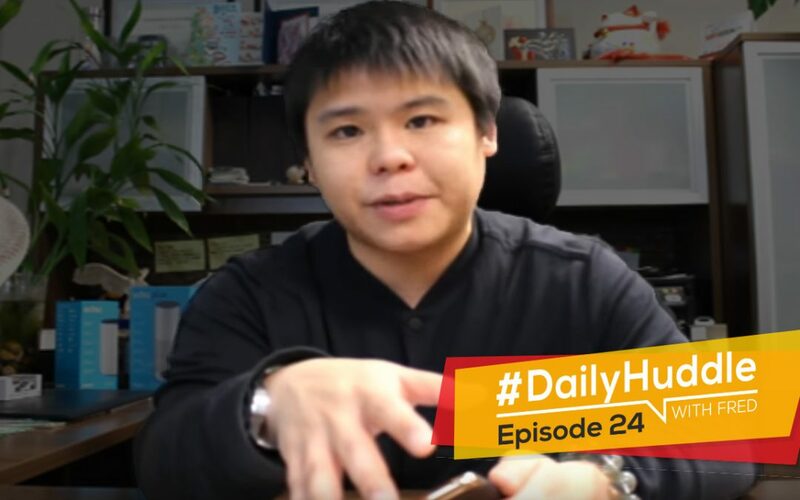 Fred Lam here and welcome to our daily huddle episode number 24. Today, I have something super exciting to share with you guys. Obviously, with that being said today’s daily huddle will be slightly longer than what our normal daily huddles going to be. If you ask me why, it’s really because today we are going to have our raffle. For those of you who were actually here with us last week, I made a huge announcement that if you have gotten your ticket which is just for $1 only to the Rich Dad Summit, you are automatically entitled for a chance to win a free trip to Vancouver where I’m going to pay for your flight and hotel and you’re going to have a full day with me. By the time that we are actually ending the day I think you’ll be sick of me already. I hope that you can handle that. I actually have a quite beat up Christmas box been made. I put all the receipts inside here. Before we go into the raffle, I want you to grab your order receipts ready because I don’t have your name. I don’t have any other details other than the order receipt of the person that is going to be eligible for our trip to Vancouver. With that, put in the word EXCITED into the comment box on Facebook and if you are on YouTube put into the live chat that you are excited about today’s raffle. Obviously, it is very rare to have an opportunity to spend a full day with me. People actually have to pay a lot of money just to basically be here to spend a full day with me and this time I’m actually going to pay for your flight and hotel and we’re going to have a lot of business talk and a lot of fun at the same time. We’re going to have that raffle at the end of our daily huddle today. First off, I want to basically start with answering five burning questions that have been submitted to me through our online form. For those of you who are joining us for the first time, listen, everyday from Monday to Friday I answer five questions and if you want your questions to be featured in our daily huddle, you simply have to go to www.fredlam.com/ask put in the details in there and you will get your questions featured during our daily huddle. With that being said, let me search up the questions that have been submitted to me and that will be featured today. Nowadays especially for ecommerce you have to pay for your traffic to get your customers to go into your store and buy the product. In reality is that it will vary between 25% to 50% of the retail price that you’re selling at. Let’s say you’re selling a $40 product in your store, the magic number is to basically get around $10 in order for you to acquire a $40 sale or roughly the max that you can afford is really 50% which is $20. I know this is a little bit over your guys’ heads right now so I will encourage you to watch again this video and comment below if you guys have any questions. The reason why is that let’s say that it takes you 50% in order for you to acquire a customer for $40 product that means that you are left with $20. So, 50% is gone on advertising you only have 50% margin left. Now with that, out of that 50% 25% is going to your cost of goods so in reality you are basically making 25% net profit. That is the sweet spot that you want to be at. Obviously, different products will have different margins and in ecommerce it really varies between 20% and 30%. That’s the sweet spot that you want to be in especially when you are starting out. However, when you start to expand your business, the 20% to 30% will actually decrease to like 10% to 15% because you are reinvesting back into your business, you’re hiring team members and you’re doing a lot more other staff to actually scare your business outwards and to diversify your portfolio. With the 4x margin, it gives you a lot of room to do a lot of things. As a matter of fact if you actually walk down a shopping mall and you see signs saying 50% off, the truth is these retailers are able to actually offer a 50% off in their store is really because they marked up the price for at least 4x so that they know that if they even did a 50% off sale, they still make 25% net profit for whatever products that they are selling in their store. This is how retail is really set up for. 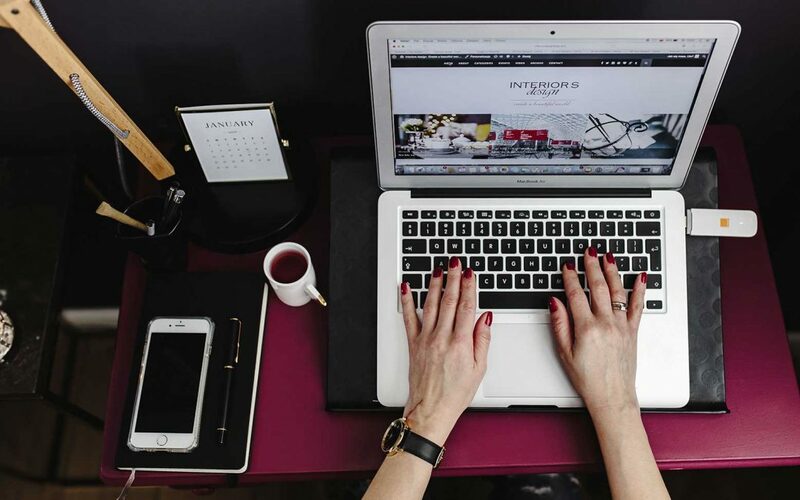 With ecommerce you can see that a lot of things that apply in retail work exactly the same on ecommerce it’s just that it is on a different platform. If you are basically saying, “You know what I just really want to actually have the customer to go through my funnel and I upsell them to actually make more profit.” Well guess what? You can give discount and you can basically make sure that you put in a lower percentage if you want. As long as your ads are breaking even then chances are you can make more profit right in the back end. It’s just like if you open up your mail and then you have McDonald’s, A&W, Wendy’s or all those fast food chains’ coupon inside your mailbox. I will bet you a lot of people actually use those coupons to buy something because obviously they get a massive discount using those coupons. McDonald’s and all these fast food chains they don’t make the money from giving you that coupon. They are actually attracting you to go to their fast food and they’re going to up sell you the fries, the soft drinks, the super size meal and all those other stuff so they can actually make more money from there. So that’s what it is and that’s why it’s always going to be a rule of running 4x. And if you are able to structure 4x it is going to be phenomenal for your business because it gives you so much more margin to do a lot of great things and for you to simply make more profit right in between. With that let me jump right into the questions because one of the questions was in regard to that so it inspired me to actually start with that quick insight and share with you why you need to do the 4x or why your cost of goods needs to be at 25%. [0:09:57] Question 1: What type of ad setup should I start with a new product at a new store with no pixel data? Do I still start with a WC purchase ad or PPE? How to target audience with a new product to make sales? What type of ad setup should i start with a new product at a new store with no pixel data? Do I still start with a WC purchase ad or PPE? How to target audience with a new product to make sales? Example, should it be a list of targeted interest then narrow down with behaviours or should it be just one small targeted interest per ad set? I tried over 20 products with high sale orders in aliexpress and do 3 different set audiences each let them run $5 a day testing for 3 days if no sales i shut it off. I have spent over $1000 in ads already, I have made only 2 sales with this technique. What am I doing wrong? Example, should it be a list of targeted interest then narrow down with behaviors or should it be just one small targeted interest per ad set? I tried over 20 products with high sale orders in Aliexpress and do 3 different set audiences each let them run $5 a day testing for 3 days if no sales I shut it off. I have spent over $1000 in ads already; I have made only 2 sales with this technique. What am I doing wrong? Great question and at the same time a lot of questions. First of all, it doesn’t matter. I’ve talked about this countless times in our daily huddle. The thing is that regardless of what objective, if you have pixel data or not you still have to create your website conversion ads based on purchase because that’s what you’re telling Facebook your ultimate outcome is going to be and Facebook will actually run their system to get you sales. That’s very important. When it comes to targeting, I always start with flex targeting. So you start with narrowing down two to three different audiences together. Let’s say for example if I am selling this BMW i8 little car. What I would is I’d go after anyone who basically express interest in BMW and also maybe narrow it down with hot wheels because this is similar to hot wheels. If you are a kid from the 80’s or 90’s you’ll recognize what hot wheels are. They are not actually as popular anymore but they were really popular in the 90’s. Put in the word hot wheels into the comment box or into the live chat in YouTube if you basically remember what hot wheels are. Obviously if I go after people that express interest in BMW and hot wheels and I show them this i8 little model car chances are they will actually buy because that’s the targeted audience. I always suggest and do is going after the narrowing audience or flex targeting. Now, with you spending $1,000 and only making two sales and you trying to basically take what is selling well on Aliexpress and trying to mimic this into Facebook ads is not going to work. The reason why is that because in Aliexpress, you might be wondering why every single drop shipper or every single person in the world is using Aliexpress and that’s where all Aliexpress sales actually come from. The truth is, that is false because there are a lot of other countries that don’t have Amazon and they simply just buy on Aliexpress so the data that is in Aliexpress based on the actual “how much it is selling” for the last 30 days, you should not use that as an indicator to distinguish if the product is going to sell well or not. That’s very, very important. Now, if you have already spent like a grand and you only made two sales there’s something seriously wrong. It’s either number 1, you have to basically relook at the products that you are selling 2. your ad creative has something that is having a big problem. The ad obviously is going to be the first point of contact with your prospect that can actually turn them into customer. It seems that you have spent quiet a lot and you only made two sales then there’s something seriously wrong that you have to revisit and take a look at what it is and really drill down what the culprit is before you continue to actually invest into the ads. Again, it maybe the product, it maybe your ad, it maybe even the targeting itself. I’ve seen people ridiculous targeting that is sabotaging your campaign, so you really have to look into that. 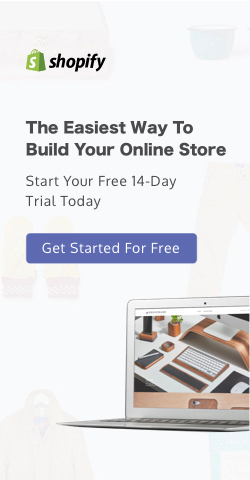 Conversions on a Shopify page don’t really have that drastic of an impact. It’s really drilling down to the product, audience and also the ad creative itself. These are the three things that you have to drill down on what is causing that problem. You are looking at the same kind of products that you’re trying to sell and you’re making things work but it’s telling you clearly that is actually not working. I hope that helped you out, Eddie. [0:14:51] Question 2: Do you take shipping costs into that consideration? So that it is (AE-price + shipping)*4. Or is it without shipping, so that it is (AE-price*4)+shipping? Moving on, the next question is by Stefan Finke. In one of your videos you talked about the ratio AliExpress price / selling price: 25% buying price of 100% selling price. Do you take shipping costs into that consideration? So that it is (AE-price + shipping)*4. Or is it without shipping, so that it is (AE-price*4)+shipping? It was the question by Stefan that inspired me to actually talk about the 4x of your products on ecommerce store. What I normally do is, I eliminate the shipping because it doesn’t cost a lot of money for shipping with ePacket, max is like $2. I factored that out so whenever I do the 4x I usually take the actual cost of goods because sometimes if I’m selling a product that is going to be like $50, I may do free shipping but at the same time I may charge shipping too. And when I charge shipping it obviously pays off for the shipping that I’m paying through Aliexpress, so that’s what I would do. At the end of the day, here’s the most important thing, the 4x is not a mandatory thing and I explained that earlier. It depends on what strategy you want to actually implement for your store. What I share with you is very important. You have to be indoor market so that’s why I always tell you to go after a niche that you are absolutely passionate of. Because if you are passionate about that niche you yourself is a customer in that niche. 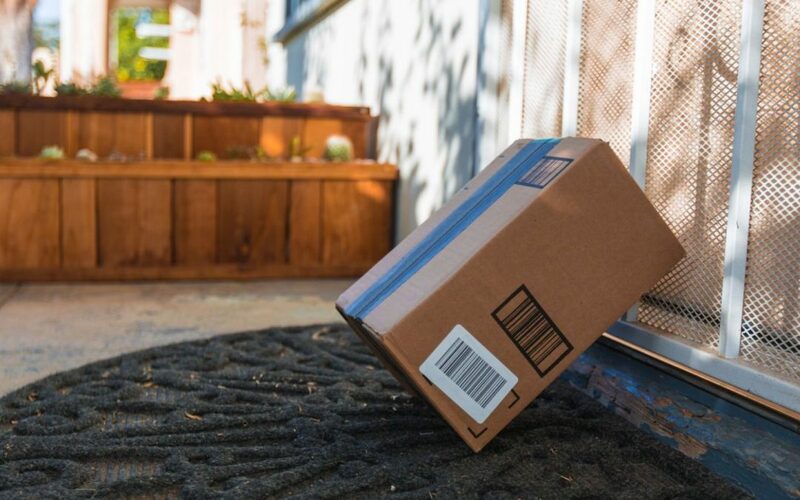 If you think in your customer’s shoe, “Alright, if I 4x this, will my customer or myself see a perceived value with that?” Because if you add in the shipping and do 4x the pricing is very different than just a cost of goods and multiply it by 4 so you would have to take those two data and you debate and figure out, “Well, if I’m that customer which one do I see the perceived value at?” Obviously if you can add in the shipping and 4x you make a lot more money but is it really necessary? Not really because it’s not wise for you to actually mark up shipping and make profit from your shipping because it just doesn’t make sense. I usually just take the cost of goods right on Aliexpress and 4x that’s what I do. [0:17:20] Question 3: If Facebook pop up a message under my post when I am running an ad for that particular post say "this post is performing better than 90% of other post on your page. Boost $15 to reach up to 3000 of people.” Should I do it? This is a PPE F+S post. If Facebook pop up a message under my post when I am running an ad for that particular post say “this post is performing better than 90% of other post on your page. Boost $15 to reach up to 3000 of people.” Should I do it? This is a PPE F+S post. The answer to your question is a NO. Don’t do that unless all you care about is engagement; you don’t care about a sale, you don’t care about people are going to your website. If you just want more likes, comments, shares on your post then it is possible. Sometimes I would do a PPEF for my personal brand not for my ecommerce store because I just like to have social proof. It really depends on what your strategy is. Based on what I can see is that obviously you are in a position where you want actually a sale in ROI from what you’re doing then having a PPE F+S post doesn’t make sense. You always have to basically create it through the ad platform, create a website conversion ad and obviously use a dark post method so that all your ad set that is running towards that product use the same ID so you’re carrying on the social proof. I won’t do it unless again, if your strategy is to build social proof then you can do that. [0:18:54] Question 4: What is NOW the method for testing FB ads? Are 50 conversions needed to OPTIMIZE? What is NOW the method for testing FB ads? Are 50 conversions needed to OPTIMIZE? My understanding is that… FB has changed the way things are done. The days of doing $5 purchase conversion test ads and then scaling them up to becoming winning ads are pretty much over with all the changes FB has made to the pixel. What is NOW the method for testing FB ads? Do We need to Prime All adsets from VC- ATC- IC to PUR event conversion for all new adsets that we test? If yes… then how do we do this? Thank you. My understanding is that… FB has changed the way things are done. The days of doing $5 purchase conversion test ads and then scaling them up to becoming winning ads are pretty much over with all the changes FB has made to the pixel. What is NOW the method for testing FB ads? Do We need to Prime All adsets from VCATCIC to PUR event conversion for all new adsets that we test? If yes…then how do we do this? Thank you. Really great question, Kelly. Yes Facebook now has actually said that the optimization will kick into effect after it has 50 conversions. It used to be 25. Facebook made it change to 50 because there are more and more advertisers right now on Facebook and they want to basically make sure that they protect themselves and have more data points to figure out if that ad is going to actually work or not and optimize on your behalf. It’s not easy for you to get 50 sales within that one week. However, that is basically letting Facebook decide if the optimization kicked in or not. Your goal is to basically look at the data points to optimize the ad set. That is the most important part. Obviously when you start scaling, you start to get 50 conversions in a single week that’s when you can basically let it keep running and all you have to do is work on making sure that the cost per purchase doesn’t increase and the frequency when it increases you change ad creative, so that’s more on the scaling side. The $5 a day ad still works because what happens is that the $5 a day ad will instantly tell you the data points. 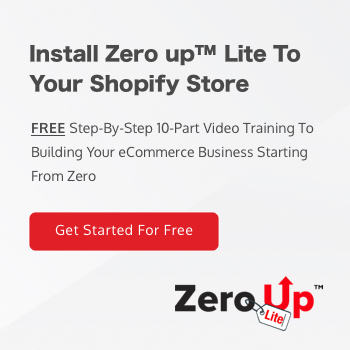 I keep telling you about the 4 data points and if you don’t know what my four data points of analyzing your Facebook ads are, make sure you actually get my Zero Up Lite training which is a free 10-part video training series and I explained the exact four data points that you want to look at. Just using that $5 you will know if that product is going to sell or not, you will know if that product is going to basically be a success or not and you don’t have to wait for Facebook to actually kick in their optimization. By the time that Facebook kicks in their optimization it is really when you’re in midst of scaling up your ads. There is one thing though. Previously when you start scaling up your ads, the best number if you do not want to affect the algorithm is to increase no more than 20%. You do not have to increase more than 20%. Let’s say that you’re running a $5 day ad and you suddenly changed it to $10 it may affect the algorithm. It’s not going to affect the entirely, Facebook will still have the data but it may affect it a little bit because you’re now giving Facebook double the budget so you have to keep that in mind. If you want to scale it slow and steady and keep letting Facebook optimize you want to do it around 20% every other day or every three days so that it basically continue to learn overtime. Ultimately, yes it is best to let Facebook optimize but you’re going to waste a lot more money. One of the products didn’t work out and you spent so much money to get those 50 sales and eventually Facebook decided that your cost per purchase was higher than what you can actually afford then you just wasted a bunch of money. Again, in the beginning you always have to do the optimization yourself to figure out if you should keep running the ad, scale a little bit further or you should pause it. The $5 a day ads still absolutely works. [0:23:29] Question 5: Can you give us some behaviour rules and maybe also a template for selling to the e-mail list in e-commerce? I’m really like going super in-depth on these answers so that you guys can actually learn. I got a lot of people that love hot wheels on YouTube. It’s just fantastic. Moving on to the last question of the day by Stefan again. First of all, the email list template for selling with email for ecommerce is only available to my members inside Zero Up. I apologize I do not release that to the public. Some behavior rules? I don’t know what you mean by behavior rules. I would you’re talking about behavior rules inside Facebook. In Facebook, if you are in the United States there is actually a targeting based on behavior rules. Unfortunately anywhere outside of the US, you don’t have that function; even I don’t have that function. What I have been hearing is that it’s always a mix result so you always have to test it yourself to see what works and what doesn’t work because each product is different and each niche is very, very different. Again, I hope that these questions that I answered will help you with your business and if you have another question that you want to basically get featured in our daily huddle make sure you go to fredlam.com/ask. I’m getting a lot of people giving 500 right now. Excellent. I love it. Obviously, I love doing this kick start 500 that really help you guys kick start your business. I actually got a video testimonial from a lady who won my $500 investment and it had completely transformed her life. She’s now getting on stage and she’s getting customers. She really invested her $500 wisely. I’m so proud of her. I’ll share that with you guys maybe tomorrow. Listen, if anything that I have done that really changed your life that you saw a breakthrough and some amazing success, record me a video about it and tell me because I just love to see like what I’m doing everyday is inspiring and helping you guys and actually getting practical results. That’s what I really want to do and accomplish. I don’t know who you are; I want to get to know you so if you guys are down on shooting a video for me. Put in a ME into the comment box on Facebook and YouTube if you are down on basically saying, “You know what Fred has changed my life so much. I’m going to do a video to just thank him.” I will love that. I can actually feature that in my YouTube channel at the same time. So today’s kick start 500 grant winner goes to Abbas Abdullah. Everyone congratulate Abbas. Abbas basically said he is that he is in the coaching and consulting business and his story is as follows. “I am passionate about helping people feel better. I want people to increase or improve their mental strength. I want people to believe more about themselves, which is so important and so true. Many individuals are dealing with depression and mental health issues. That is so true in our modern society right now there’s actually more people who are depressed. It is actually a little bit sad. Well, I was a youth director; I notice many youth has self- image and mental health issues. I can totally see that. Next I became a coach and so many people with depression and these people aren’t getting the correct help. I did some research and noticed that people needed to improve their mindset through activities and change what they eat, which is very important too. They just don’t know how. My vision is to help people know and understand how they feel. I want them to be mindful of self and know that there are better ways to feel good without bad chemicals. I aim to help individuals make better decision to improve their wellness now. What he’s going to do is to basically growth hack for that kick start $500 and for growth hack his business to actually help people. I love that. I love and I can see that if you have a vision and you have a purpose for your business, it makes a tremendous difference other than just making money. So, congratulations Abbas! My team will reach out to you and I am so excited and I hope that I can be part of your venture to actually make a difference and impact in the world. Now let’s get on to the most exciting section of today. We have almost 800 people who actually signed up for our Rich Dad Summit. What I’ve done is very simple. Again, I don’t have your name; I don’t know who it is. I only have the receipt number. What I want you to do right now is to put in a “Go, go, go” into the comment box on Facebook and YouTube because what I’m going to do right now is I’m going to get my box out. Here’s what’s going to happen. Inside this are the order receipt numbers. I have my assistant printed out and she cut it all up into single entries and have it right inside this box. There’s close to 800 entries right here, right now. What I need you to do is to make sure that you pull out you order receipt that you have actually gotten your Rich Dad Summit ticket because like I promised, anyone that actually got your $1 ticket will be eligible to win a free trip to Vancouver and spend a full day with me. We’re going to talk about business. We’re going to have some fun. We’re going to have some dinner and you’re going to basically let me get to know you. There’s one stipulation though, I’m going to record that thing and we’re going to post it on YouTube and we’re going to let people feel left out and make them feel wanting to actually come meet me. The person that actually won has this receipt order ACLBZNQR. Again, you have to look at your order receipt and you have 24 hours. By the time that I start my daily huddle tomorrow and I still did not hear from ACLBZNQR then we’re going to redraw this. I still have this box over here. We’re going to keep drawing until someone actually contacts us and basically win from there. I hope that you guys are excited and find this fun. Obviously it’s very different than anything I do. Put in the word FUN right into the comment box on YouTube and Facebook if you guys find this fun. So far, I haven’t seen anyone who said that they have this ACLBZNQR. I would definitely find out who this person is and I’m really anxious to find out who this person is at the same time. Other than that, listen, tomorrow is going to be a new day and I am going to answer more questions. If you have a burning question that you want to get featured in our daily huddle just go to www.fredlam.com/ask. For those of you who are really curious of what I have been doing, if you go to fredlam.com you’ll see that we are building a brand new site and we are posting a transcript of all our daily huddles inside fredlam.com. It is still in the making. We just launched the beta of that site. You guys can check it out, it’s fredlam.com. I’m so excited that I actually bought that domain. Anyway, that’s really it for today and if you guys have questions that you want to feature, again go to the URL it’s above this video on Facebook and right below on the video description in YouTube. I look forward on seeing you tomorrow. We are going to keep hustling and working on your business. Bye now.